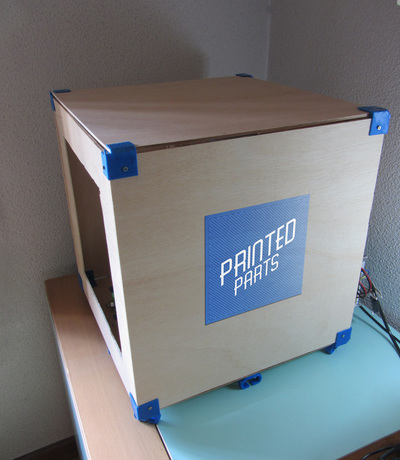 A step closer to get a safer printer, customized and better looking, it gets throught putting and building a reprap into a box, a closed space. 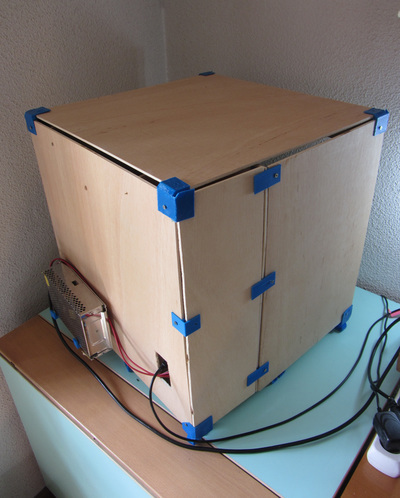 We care about clean air, this is the way.. we apply filters to the printer, filters cannot be applied without a enclosure, so we needed to create this box and seal it. Something is missing, the door, the gaps, but it is a start. 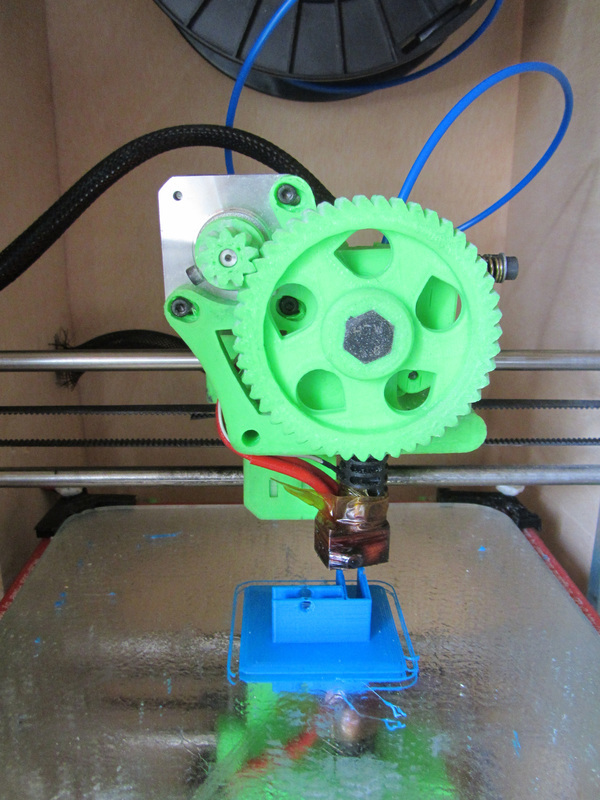 We haven't seen many places caring about it, nobody cares about nanoparticles extruder give on extrusion, but we do! 1.- Improved 3D printing quality, and also some noises are blocked, but not completely. 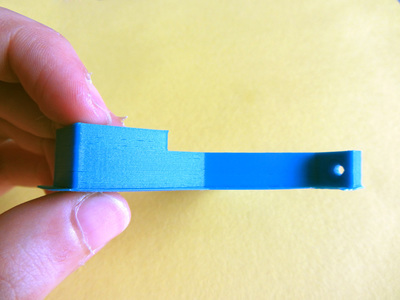 2.- We solved the clips on heated bed, no use of it, because they gave noise and also were not reliable enought, those new ones can be 3D printed! 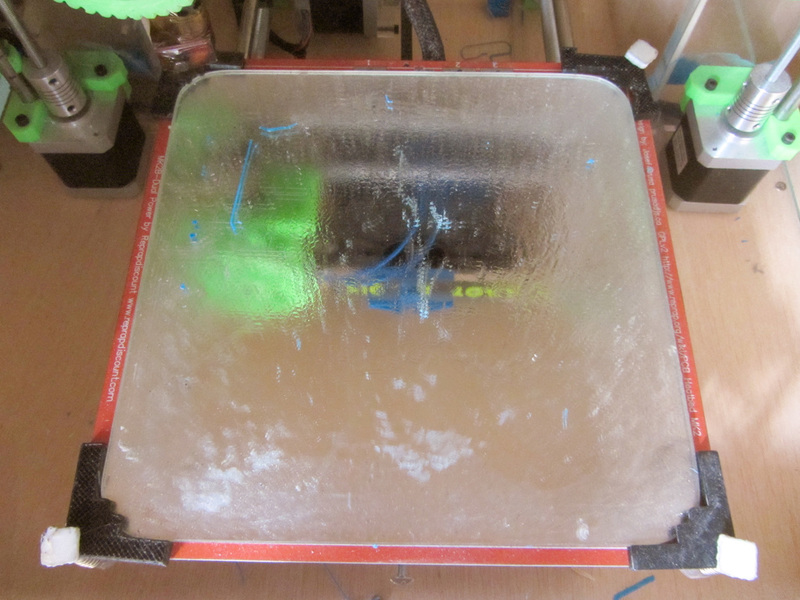 3.- Cut airflow and keep heating from heated bed, those are enemies of ABS, friends of warping objects. Now less energy wasted by the heated bed! 4.- Electronics are protected, not directly exposed to the enviroment. Have you ever had an accident with it? 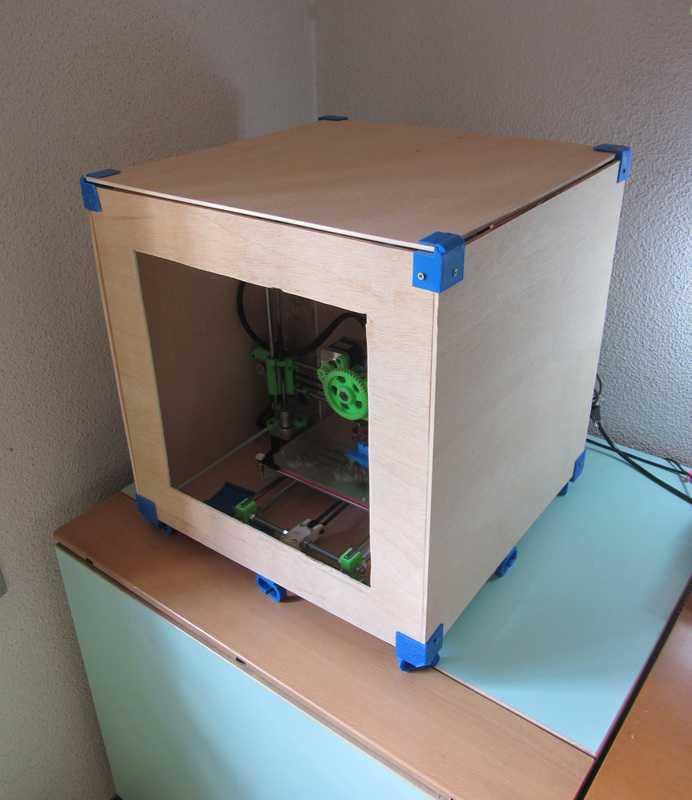 Im sure every reprap user had problems with it. It gets in place, it does not move anymore and also can cooldown on separate place, not being disturbed by accidental touches. 1.- It is a bit large, you could made a lite version, but on the opposite side, you can keep tools inside of it. Hairspray, allen, screwdriver, filament... everything on it! This makes easier to manpulate inside. It does not stop being big.